I'm a beauty junkie so imagine my happiness whenever I get amazing products sent over to me - No obligations, I just have to try it! Most of the time, products from my usual regime end up still being my favourite, but sometimes I find gems that I end up adding to my regime. 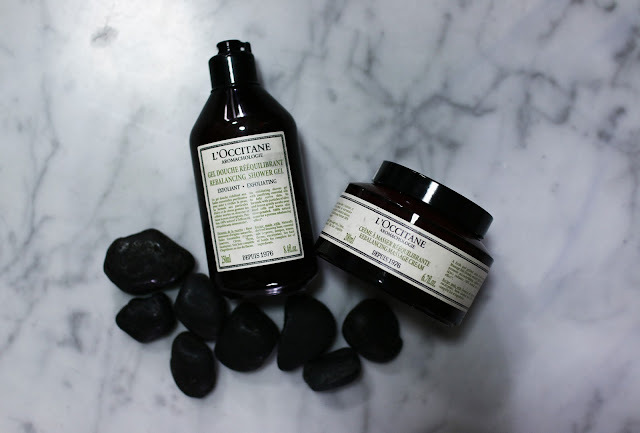 L'OCCITANE's Aromachologie Rebalancing Massage Cream has an amazing, gel-like texture that is unlike any other I've tried... Fell in love with the scent at first sniff and I brought it with me to my massage session soon after just to try it. Usually I feel a little sleepy (or relaxed) after a massage but with this, I actually felt energized. 2. The oils and creams I bring often have slimming or detoxing effects which I like very much! 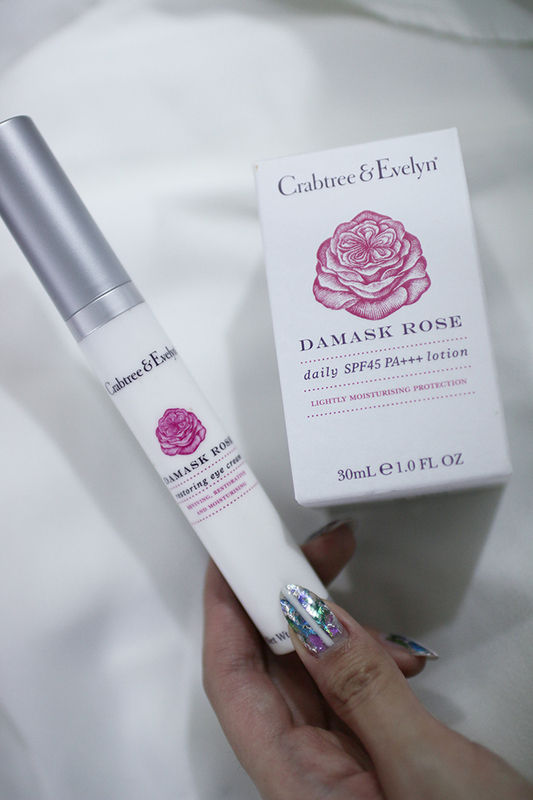 I brought Crabtree & Evelyn's DAMASK ROSE eye cream and lotion with me on my Phuket trip and I'm so glad I did because the lotion, literally, saved my skin. On the last day I realised my skin got really dark and felt very dry so I applied quite a bit of this and it gave me instant relief. 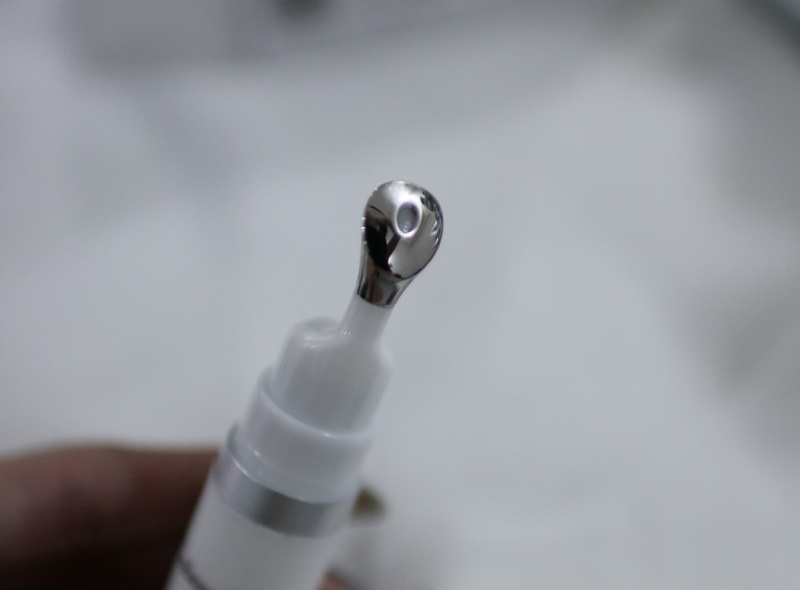 The eye cream, on the other hand, has this cool metal applicator which feels really soothing on the eye area and promises to give reviving, restorative and moisturising properties. I ran out of my usual eye cream, the X cream (which is out of stock) from DRx, so I've been using this! 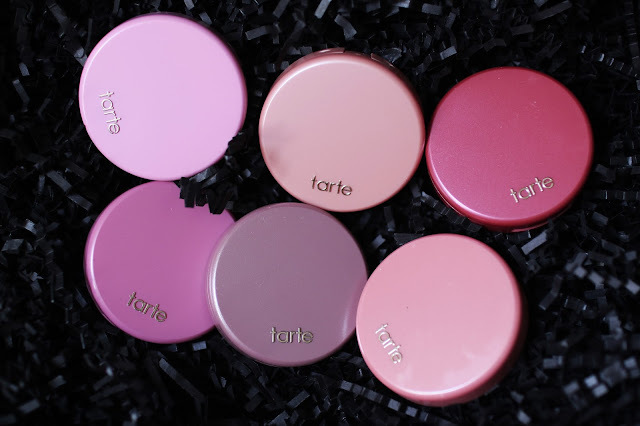 Tarte is a very trendy makeup brand and they sent me this bunch of blushers... I literally have a colour for every occasion! Love them all, can't decide on which is my favourite. And that concludes my little beauty additions post, I'll be posting more like this when I have the chance!